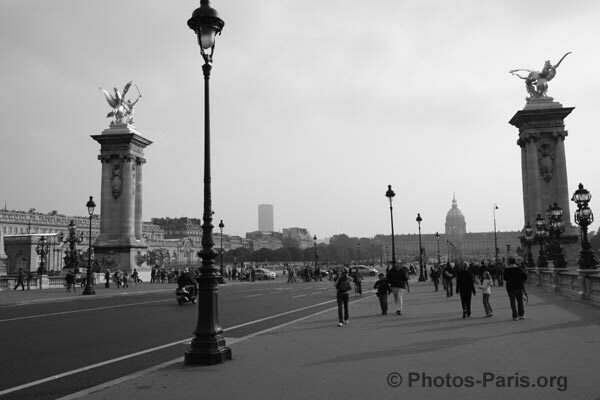 This web site deals with Paris thanks to many photos showing this fabulous city ! Living in Paris, using my new Canon 5D camera, I hope to create a beautiful site. You're planing a trip to Paris, but don't know yet in which area to stay, or what you want to visit, what is not missable? Or you've been to Paris already, and you feel like remembering the places and landmarks you have seen ? Than, you will probably enjoy this site ! Welcome in Paris ! What will you find in this site ? This web site is built about Paris with many photos showing this fabulous city ! You will find in this web site many original photos I took myself while hanging around in the city. I have been living more than 5 years in the 13th arrondissement (quarter). The site goal is basically to show nice pictures about this city, but I will probably add other things : like short videos, traveling guides & help, a forum to help travelers, my selection of photographies books about Paris on Amazon, etc. I have also projects to add bonus : photos outside Paris where travelers to Paris are likely to go and visit. Technic : All the photographies were taken with the digital camera Canon 5D then switched by D5 MarkII, thanks to different zooms (lens) : Canon 17-40mm (4.0 L), 24-85mm (3.5-4.5), 75-300mm (4.5-5.6), and from august 2007 : 24-105 (4.0 L) and Sigma 80-400 (4.5-5.6). My name Julien Deschamps, I was born in Paris in 1978, and I'm still living in Paris. I'm mostly interested in traveling, and taking pictures. The photgraphies and texts of the web site are protected by the laws about the intellectual rights. Yet, I authorize any use of these photos only in a private and non-commercial purpose (this dos not include the use of photos on any other web sites). Contact me for any other use, thanks to the menu in the left of this page. All photographies are available for a commercial use under license. I can provide high definition for professional needs (about 13 megapixels thanks to the Canon 5D).